Sylt is more than an island. For many regular visitors to the island, it’s a philosophy. But what makes this small North Sea island so special? The answers are as diverse as they are abundant: What makes Sylt so unique is the interplay of contrasts, which come together to create precisely what the island stands for: Sea. Passion. Life. Sylt is an exciting yet calm mixture of laissez-faire and savoir-vivre. The joie de vivre of a metropolis surrounded by unspoilt nature and peaceful sanctuaries. All places are holding an individual natural charm. 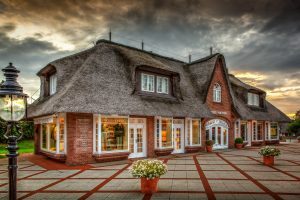 There are beautiful little hotels on the island decorated in the typical Frisian style with the impressive thatched roofs. Relax and unwind in one of these after a long walk along the beautiful, windy beaches of Sylt or after having enjoyed the beautiful nature. 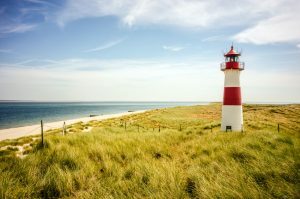 A large part of the island is safeguarded by law, one third of Sylt’s total area is covered by conversation zones and one third by nature reserves. And also in the evenings this island has lots to offer. Lovers of food and drink will find a lot of alternatives to choose from. There are not only well known Michelin starred restaurants, that offer excellent food, but you can also find nice beach-side bistros, where you can enjoy great food and an excellent view on the sea.